E3 2014 is around the corner, but great news Sims Fans! First confirmation in EA’s lineup was done by Sims 4 Executive Producer Rachel Franklin that The Sims 4 will be making an appearance at E3 this year. We’re not exactly certain what will be shown at E3, but if previous years are any indicators, there will be demos, screenshots, lots of articles, and videos. 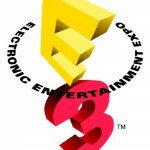 E3 2014 runs from June 10-12 in Los Angeles, CA at the Los Angeles Convention Center.